2016 IPL final promises to be one of the most awaited and anticipated games till date in the IPL. Only time will show, how classy the match is going to become in the tournament. Sunrisers have got the momentum by winning two games in the last two days. It is going to be at the Chinnaswamy Stadium located in Bengaluru. The team led by David Warner will lead more than momentum to stop Royal Challengers from winning the cup. RCB has been the most promising team to watch playing it. From the Bangalore side, Virat Kohli and AB de Villiers have shined to the best potential and have grabbed every eyeball. These two players will be the key for the team to lift the trophy. Kohli is going to cross the mark of 1000 runs in a particular season. As of now, he just needs 81 runs to do it, and he has a finale for it. de Villiers has been consistent, and he has played crucial innings to make his team win whenever his requirement was there. Kohli has also rescued RCB at difficult times. However, Gayle hasn’t played any significant innings this time. On the other hand, Hyderabad side will need the best bowling attack to prevent the opposition batsmen from scoring runs and make their side win. Both the teams are targeting their first IPL crown. RCB has a good bowling attack with Chris Jordan, Shane Watson, Yuzvendra Chahal. SRH needs to have some extra power to defeat Challengers to pick the prize. Because if they don’t do it, RCB will take the trophy with the match. SRH needs their bowlers to do their best. With the coming back of Mustafizur Rahman, they bowling attack will be improved. It will be a threat to RCB batting attack. David Warner has to do the same with his trio as he did in the Qualifier 2. We must not forget Yuvraj Singh, he has an enormous potential of scoring huge runs and can attack anytime. Shikhar Dhawan is also there who play impressive innings for the team. 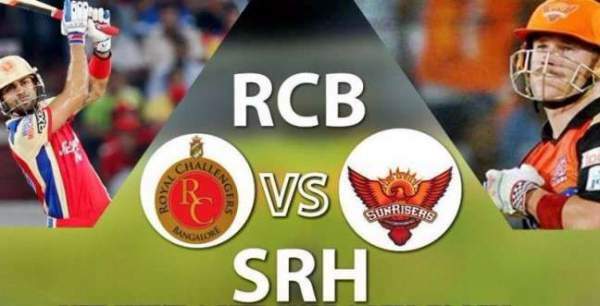 It is no doubt that SRH has the talent to beat any other team in the tournament. They have everything to spoil RCB winning party. RCB vs SRH ( IPL 2016 final) will start at 8 pm IST. Here below are the tv channels and best spots where the audience can go and watch the game live. India: TV: Sony Six,Sony Six HD, Sony ESPN, Sony ESPN HD and Sony Max. Live Streaming: Hotstar and Starsports.com. UK and Ireland: TV: Sky Sports 5. Live Stream: Watch Sky Sports and Sky Go. USA: TV: ESPN. Live streaming: Watch ESPN and ESPN Cricket Pass. Canada: TV: Sportsnet. Live Stream: Watch Sportsnet. Middle East and North Africa: TV: OSN Sports Cricket. Live Streaming: OSN Cricket Play. South Africa and Sub Saharan Africa: TV: Supersport. Live Stream: Supersport Live Video. International (ROW): Online live stream: Cricketgateway.